Articles in this category are related to RoninWorks. RoninWorks started out in The Netherlands by Dan P. Mapes and shut it’s doors in the summer of 2004. The concept was later picked up again and exists today as Motion4U. Piece of history – a lesson to be learned? Recently a friend pointed out to me that there is a site on the internet that keeps track of web pages and archives snapshots of them. This thing is called “The way-back-machine” . Sometimes I wonder if the Cameron’s of this world get their inspiration from way-back. P.S. Here is the full article on the system. Posted on 4. April 2011 4. April 2011 Author AlexCategories Full Frame Studios, LEGO, Motion4U, Portfolio, RoninWorksTags Virtual CameraLeave a comment on Piece of history – a lesson to be learned? 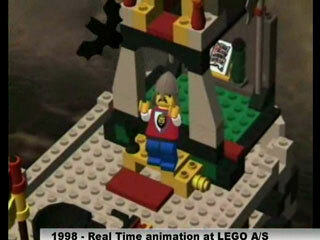 This video is from the time at LEGO (1995 to 1998) and shows work Dan and I were involved in during this time. It documents what was happening in respect to human interaction in 3D space at LEGO and goes all the way to real time movie making with digital LEGO. 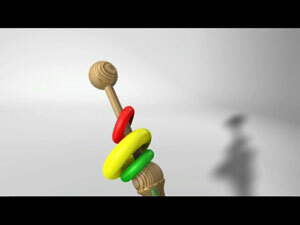 It visualizes the vision we carry when we create a product like Xaelander for Motion4U. The very first bit of the video shows an early prototype that was realized in collaboration with David Small which was at MIT at this point. As soon as the gentlemen in the yellow suit pops up you’re looking at Scott from Multigen that uses SmartScene. In the second part of the video there is footage from the castle demo of the WIZard group at SPU Darwin (actual name of the demo was “Batlord’s Castle”). In there you will also see Kjeld Kirk Kristiansen the owner of the LEGO Group (gentleman in the blue-shirt with tie and the VR headset). Moving an object around in 3D space can be a tedious and annoying process and is definitely not something a baby could do with todays versions of tools like Maya, 3DS or alike. But with the immersive tools from RoninWorks even a baby could animate a shaking rattle more dynamically. Watch what happens when a baby discovers full 6D motion interaction.